Freezing fish is very simple. I found some salmon steaks marked down at the supermarket and decided I'd buy them to freeze down for making into fish cakes. 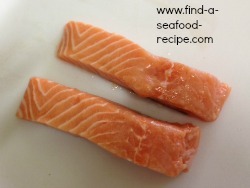 Here they are - four lovely salmon steaks. 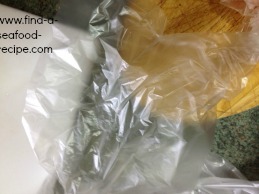 You will need some thin plastic bags and then another larger, tougher freezer bag when you're freezing fish. You could use a freezer box if you prefer. It's easier to stack but you end up with a lot of vacant space as you use the contents. Rinse your fish in fresh cold water and then pat it dry with some paper towel. I like to freeze my fillets or steaks individually so that it gives me more choice on how many to use. Nothing's worse than having to hack away at a block of frozen fish to get just one portion! Take one of your lighter plastic bags and put each salmon steak in. 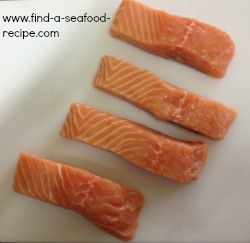 Wrap it tightly round the fish to exclude the air. It's important to do that as you run the risk of freezer burn if you don't. Here they are now wrapped in plastic bags. 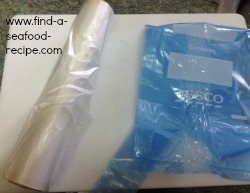 These bags are thin polythene and about 12 inches by 8 inches and so wrap well around the fish. Remember to squeeze the air out of the bags as this minimises the risk of freezer burn. Write the date on the bag and also the contents - you might forget what's in there and things look very similar when they're frozen solid! 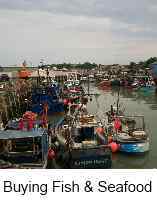 You can keep oily fish such as salmon, trout etc for around 3 months. 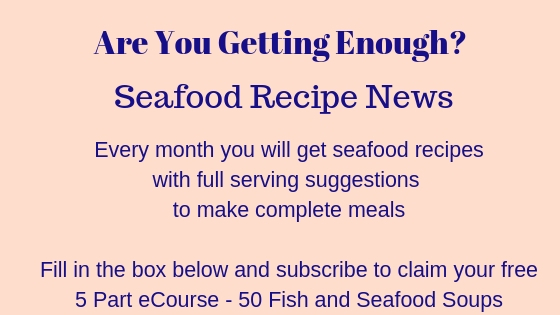 Other fish is alright for up to 6 months. 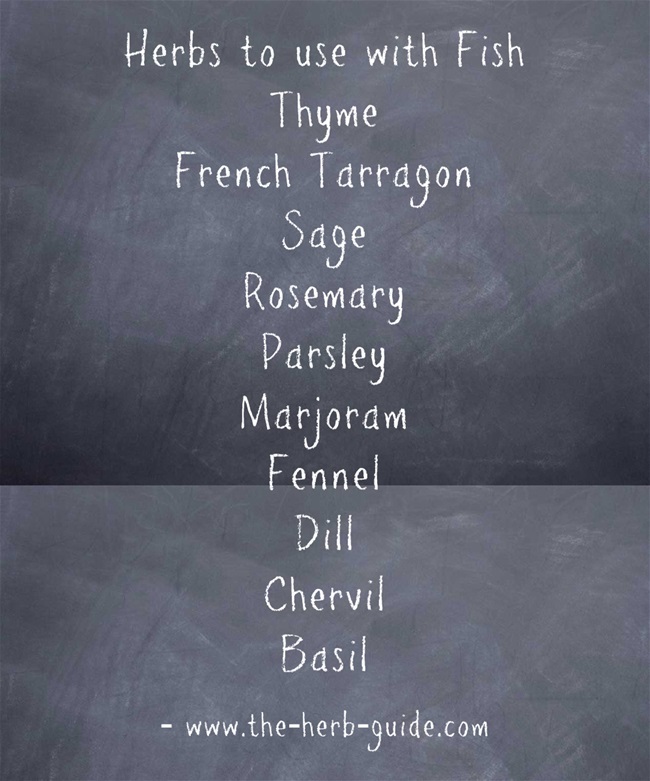 Keep a list of what's in your freezer so that you don't forget. i just have a little book which I write in when I put things in and cross them off when I take them out. It takes a bit of time, but it's better than finding stuff that's useless stuck to the bottom. As food is becoming more expensive, it's important to keep track of what you've got. 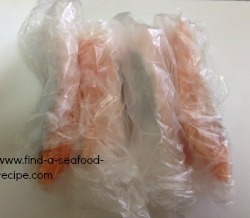 When it comes to thawing your fish, then take them out in good time. 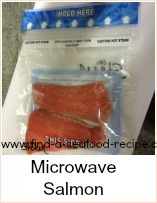 Do not use the microwave to thaw it as the fish will start to cook. Allow it to either defrost at room temperature or better still, overnight in the fridge. 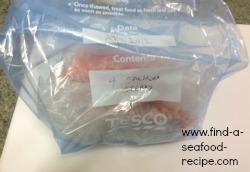 If you're desperate to use it, then put the fish, still wrapped into a bowl of water, it will defrost much quicker.